A screenshot of the error follows. The bottom half of the text with both bengali and english contents is the correct display with Dejavu Sans as the choice of fonts. The problem might be with the font rules and/or the rendering engine used by oowriter thats unable to select the glyphs from the appropriate font as per the contents. Looks like there is a bug for this as well. 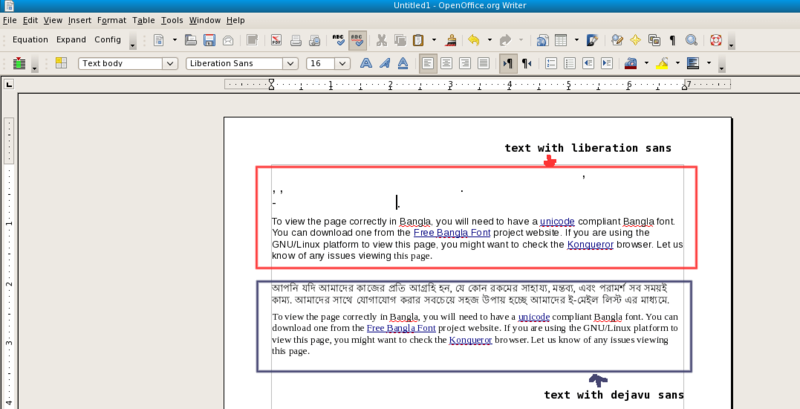 This entry was posted in Work & Technology and tagged bengali-l10n, l10n, openoffice on December 12, 2007 by runa.